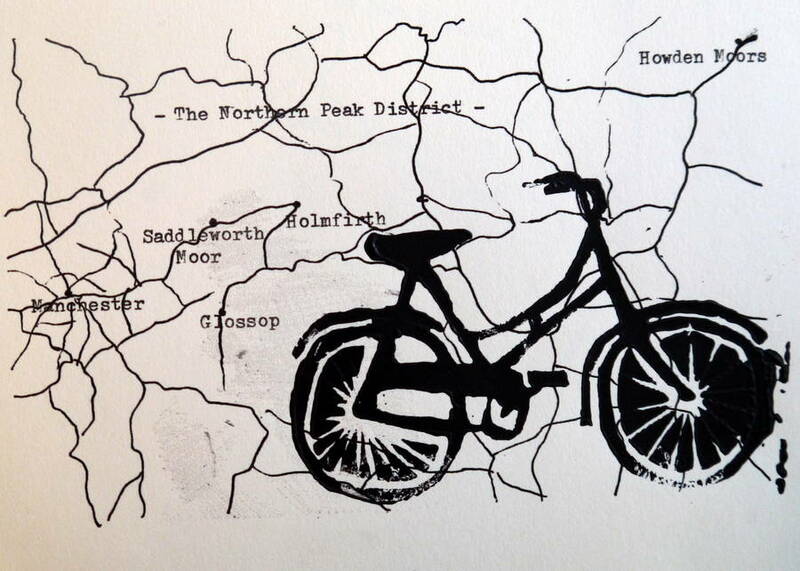 Celebrate that race with this print of a bike on a hand drawn map- choose your location from a list of popular UK cycling desinations. 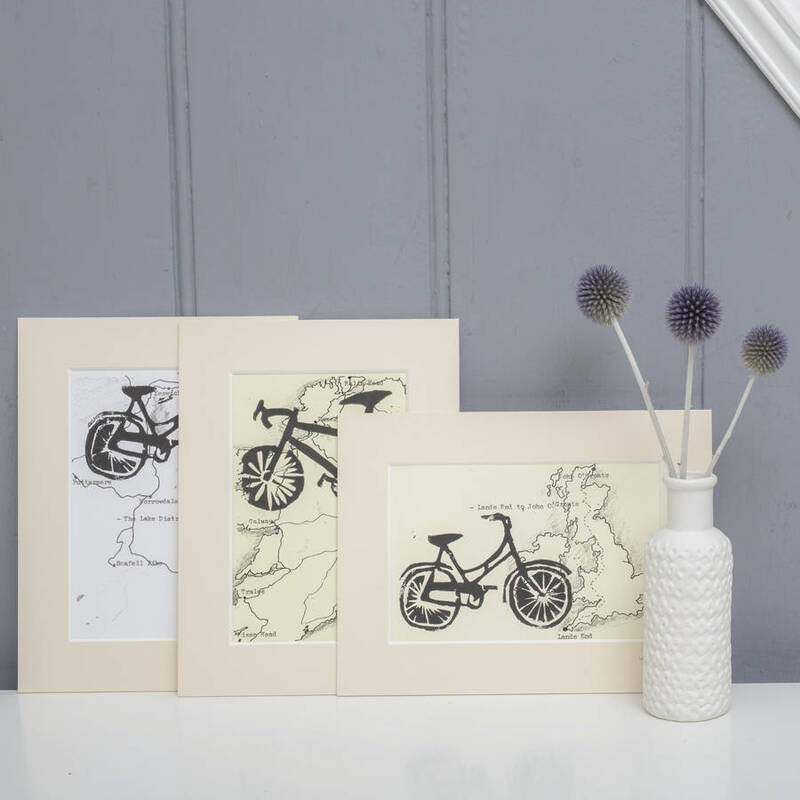 An ideal gift for the cycle enthusiast, you can select which from a range of popular UK cycling destinations you'd like for your bike linoprint. 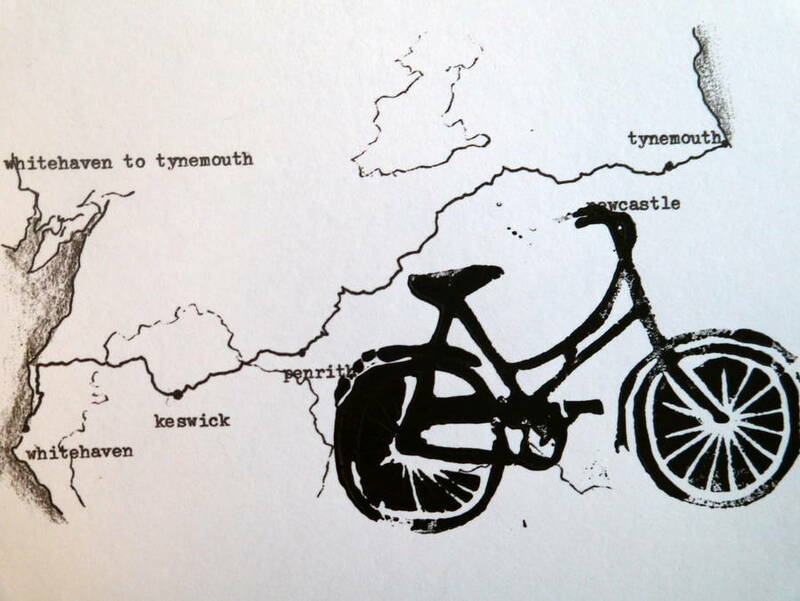 All maps are hand drawn, and each bike is handprinted, making every print an original piece of artwork. 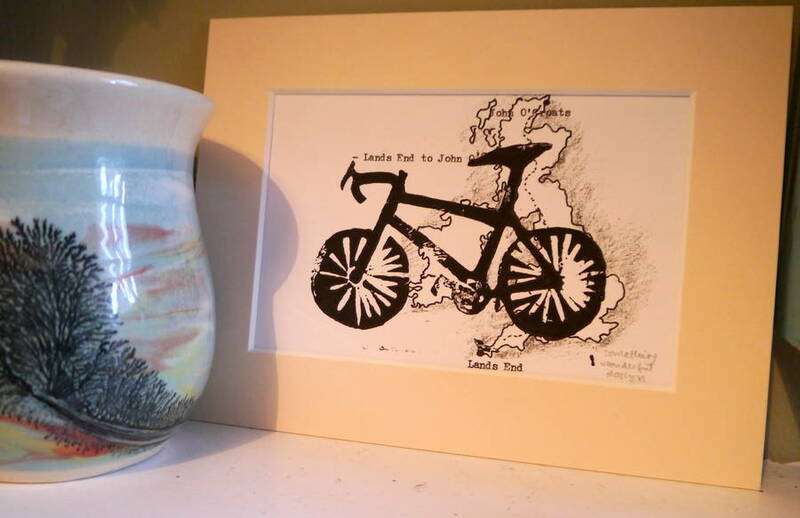 Order a print to celebrate a bike race, or perhaps give one to someone who has been on a cycling holiday- each print will be absolutely unique. 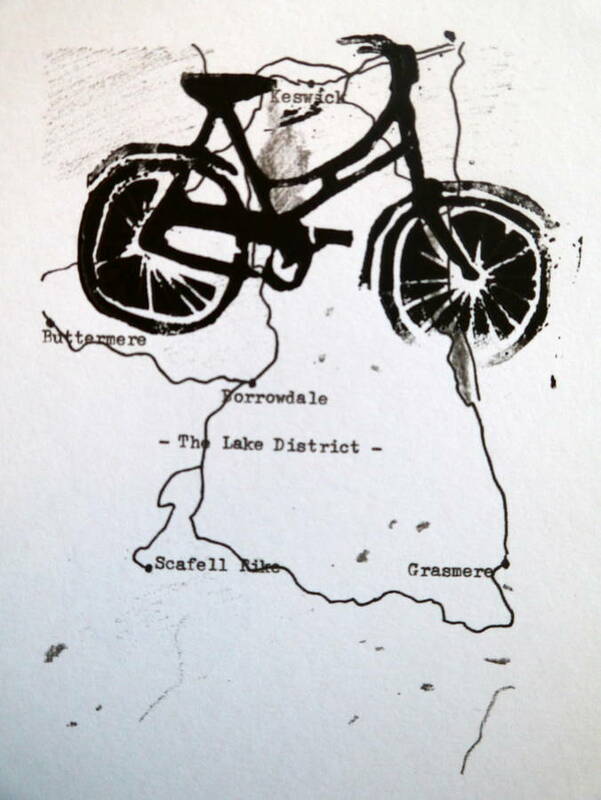 Be it the Lake District or Land's End to John O'Groats, every print is sure to be treasured. 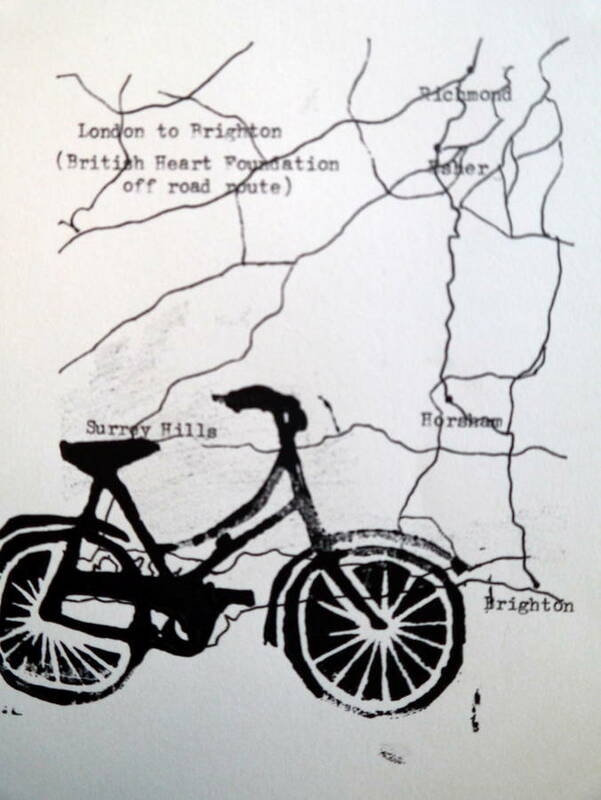 The maps are drawn by hand in black ink, with place names added by typewriter. You can select from a white or cream card background, and choose between a classic bike, road bike or tandem. The print is in black ink, and each print is signed. The prints are finished in a cream mount with card backing, presented in a cellophane sleeve- they are stickered and tissue wrapped as standard, making them perfect ready made gifts. Alternatively you can put the mounted print straight into an 8 x 6" frame, which is easily available. Prints can be giftwrapped free of charge. You can even have a dedication handwritten in pencil on the card mount, e.g. "Well done Dave, September 2015". 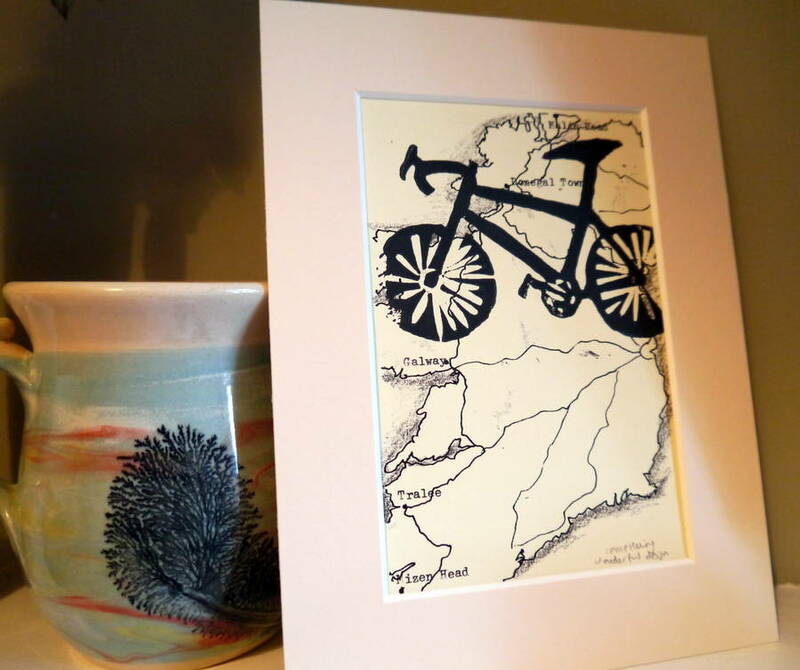 Prints can also be bulk ordered- perfect well done prizes for bike race organisers! Routes available are as follows: (please note, all international maps are available to order from the other product listing). Linoprint on artists 160gsm card, printed in waterbased printers ink, mounted in a card mount with cellophane sleeve. The mount measures 8 x 6", and fits a standard 8 x 6" frame.